Subscribe to and manage our newsletter here. The newsletter informs you regularly about new technological trends and solutions, events and exclusive offers from our partners. ** All personal data that is necessary to subscribe to our newsletter is used exclusively in accordance to our Data privacy statement. A transfer of personal data to third parties is not done at any given time. Evaluations are used only for statistics and are anonymized. You cancel your subscription at any time. You don´t get the newsletter although you subscribed? Make sure that you have successfully completed your registration by clicking on the verification link in the registration mail. Only then you will get the RISC.News. MWith this method we ensure that third parties have not entered your email address without your consent. Please check your SPAM-Folder if you cannot find the mail in your inbox. Should you decide to unsubscribe from our newsletter you can use the following link at any time unsubscribe. You want to give feedback? In order to ensure the quality of our services and in to have the chance to improve them we need your help. 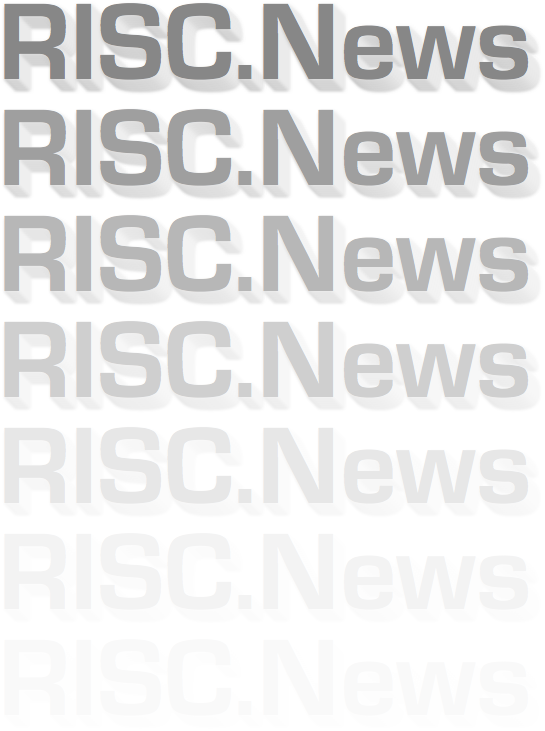 Therefore we greatly appreciate any feedback about the RISC.News. Please use our contact form or write an email suggestions to newsletter@RISConsulting.de.